For her latest single new Sri Lanka/London native rapper M.I.A. has teamed up with Skrillex and Blaqstarr, two American DJ and producers, for her newest song called Go Off. This latest track will be appearing on her upcoming album called AIM which is set to drop September 9th. The song first premiered on BBC's Radio 1 show Annie Mac last week. 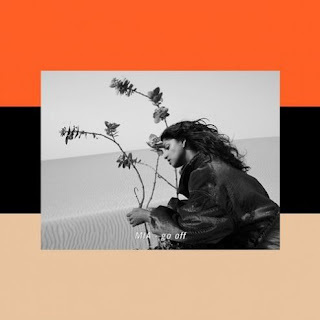 Go Off fashions M.I.A.s signature upbeat tempo under an array straight forward lyrics and extremely catchy chorus. A visual was released along side of the track displaying a continuous stream of dirt explosions. I'm sure it has some deeper meaning that she will explain at a later date but I must warn you, to the average viewer the video will be extremely uneventful. I have been a fan since the release of Galang back in 2005 so I am eagerly awaiting the release of AIM in September. Until then, enjoy her latest single Go Off.